INPA ignition and battery Always ON?????? ?¿¿¿¿¿¿ - BMW forum. Diagnostics, coding, programming, repair BMW vehicles. im trying to diagnose my fathers e46 1999, But when i turn on INPA it shows that battery and ignition is already on, even if haven't turned on the ignition or even pluged the obd end of cable to the car!!! If i start INPA without USB connected the dots are white, i plug in the cable both dots still white. Maybe i should start the car while the both dots are black? Or could this fry something?? Should i be able to get ANY dignostic info while the car is off?? Because if i try to enter e46 engine diagnostics while i have only turned on the ignition it throws up IFH-0006 and IFH-0009 error. I have tried 3 inpa versions from which 2 were ment for my Win10 64bit OS. I also ran 32 bit version in VirtualBox. All three had identic results. My drivers, registry values and usb COM settings are edited as specified in tutorials. I tried different drivers, different COM setup all of which had same results. I've ran OBDsetup.exe everythings OK. 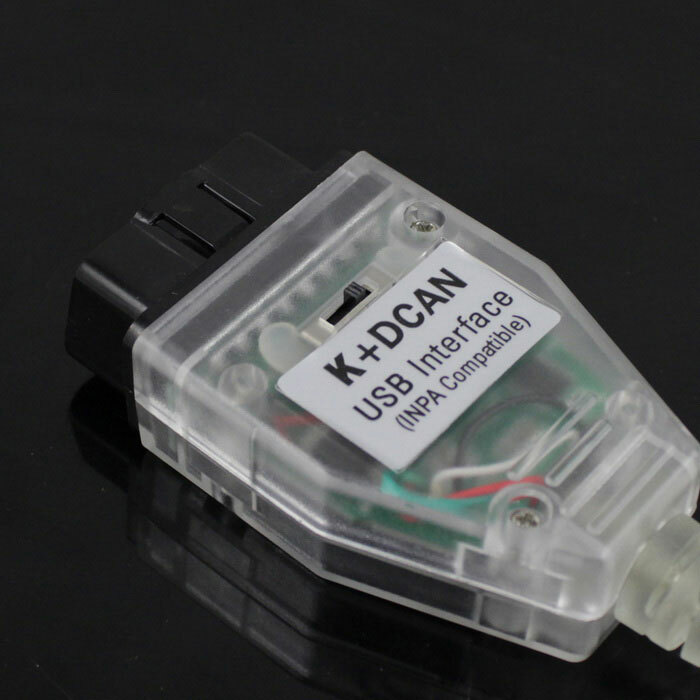 I've ran Dcan.exe before running INPA and have setup my adapter as K-Line which gave no effect. I've checked pins 7 and 8 are connected when switched in K-line mode. Maybe my cable doesnt have ignition sensing? Also ive checked my cable with Tera Term and i'ts working. Last edited by wat? ; 09-20-2017 at 11:20 PM. Do you have a laptop with Win XP sitting around? I suggest you install the INPA suit on an fresh XP - and INPA 5.02 no later. But i've tried 5.02 on XP 32 bit virtual machine, also while disabling COM ports on my primary OS. And this had the same exact results. Even in a VM you have the cable drivers in you Win10 system. I'd suggest you upgrade INPA to F series. 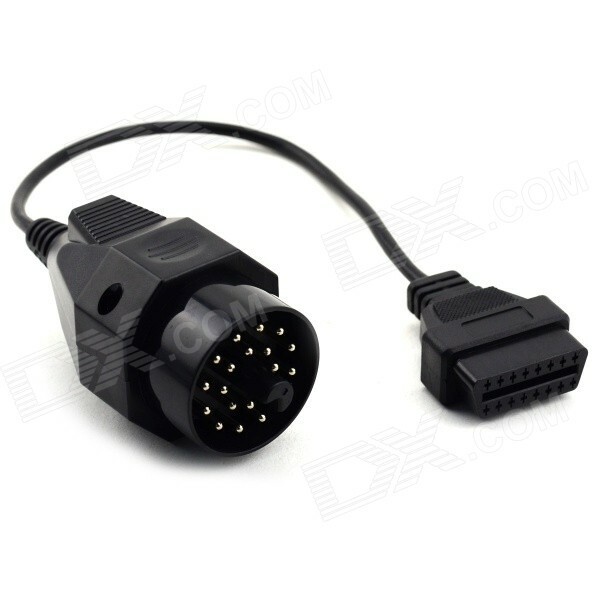 As for the cable - it's common that the FT232 chip is a clone, more common if you pay $20 for the cable. You mean like 5.0.6 ? Also Hardware id in device manager says FTDIBUS\COMPORT&VID_0403&PID_6001 which should mean that the chip is genuine. And when i ripped it apart it also said FTDI on the chip. Last edited by wat? ; 09-20-2017 at 09:30 PM. Yep judging by all evidence the thing is not bricked. Shouldn't Edibas server or something like that start automatically running when i open INPA? Last edited by wat? ; 09-20-2017 at 11:11 PM. Is there a way to manually launch Ediabas server? The server should run auto-magically when you open INPA - 5.0.6 sweet. What's the it system script say? I've got a version on INPA that will not detect battery until ignition is on as well. Not worried as it still talks to the dmes. Will have a look at INPA today at some stage to see - are you running win10 or a VM?